Harvard University Press, 9780674018389, 438pp. Four bullet-torn bodies in a drug-ridden South Bronx alley. A college boy shot in the head on the West Side Highway. A wild shootout on the streets of Washington Heights, home of New York City's immigrant Dominican community and hub of the eastern seaboard's drug trade. All seemingly separate acts of violence. But investigators discover a pattern to the mayhem, with links to scores of assaults and murders throughout the city. 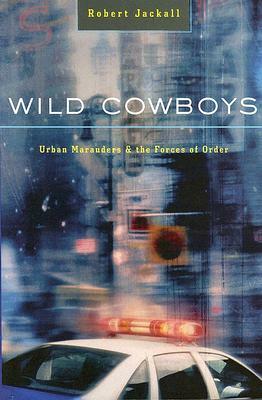 In this bloody urban saga, Robert Jackall recounts how street cops, detectives, and prosecutors pieced together a puzzle-like story of narcotics trafficking, money laundering, and murders for hire, all centered on a vicious gang of Dominican youths known as the Wild Cowboys. These boyhood friends, operators of a lucrative crack business in the Bronx, routinely pistol-whipped their workers, murdered rivals, shot or slashed witnesses to their crimes, and eventually turned on one another in a deadly civil war. Jackall chronicles the crime-scene investigations, frantic car chases, street arrests at gunpoint, interviews with informants, and knuckle-breaking plea bargaining that culminated in prison terms for more than forty gang members. But he also tells a cautionary tale--one of a society with irreconcilable differences, fraught with self-doubt and moral ambivalence, where the institutional logics of law and bureaucracy often have perverse outcomes. A society where the forces of order battle not just violent criminals but elites seemingly aligned with forces of disorder: community activists who grab any pretext to further narrow causes; intellectuals who romanticize criminals; judges who refuse to lock up dangerous men; federal prosecutors who relish nailing cops more than crooks; and politicians who pander to the worst of our society behind rhetorics of social justice and moral probity. In such an up-for-grabs world, whose order will prevail?